Moores Island - The Moore's Island archipelago consists of about 10-12 cays at the edge of the Northwest Providence Channel in the Abaco chain of islands. Only the largest island is inhabited. The inhabited island of Moors Island has a total land area of 6.8 sq. miles with an estimated population of 950. On island settlements comprise of Hard Bargain (the capital) and The Bight. Moors Island lies some 28 miles (45km) to the northwest of Abaco Island, about 35 miles to the southeast of Grand Bahama Island. The islands are surrounded by shallow waters. 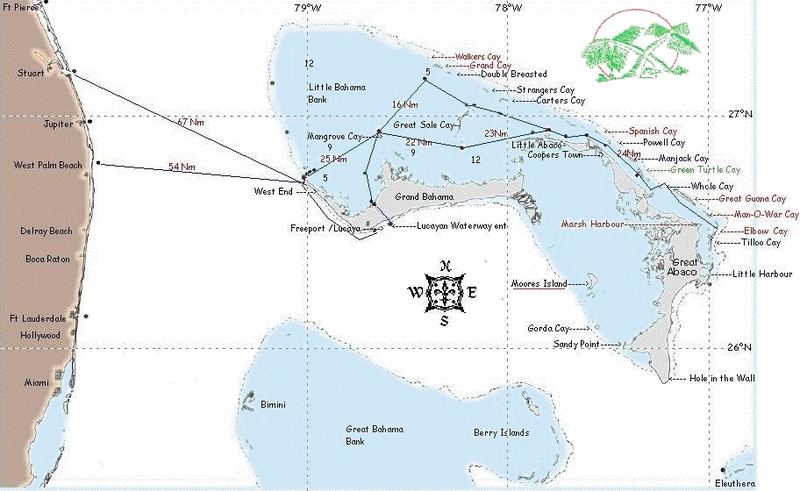 There are two rocks (small cays) called State Rock and Big Rock situated a couple miles offshore. State Rock has a lighthouse, to guide ships away from the shallow waters that surround the island and onto the channel. The island's name is thought to be derived from the word moors, based on the historical maritime history of the island known by a historical map of the island. According to local residents its possible that the island was named after a local British Landowner called Moore (or More - depending on whom you speak with). Moors Island was first settled by Free Blacks, African Slaves, Black Slaves, Plantation Owners, beginning in 1817, crops that were produced at that time were cabbage, cassava, corn, grapefruit melon, orange, papayas, peas, potatoes, pumpkin and sugarcane. During the plantation economy - a system of minority rule - Free Blacks and Black Slaves had their rights restricted for a period of 21 years, until slavery was officially abolished in 1838. The first settlers' legacy is preserved in common family names on the island, such as Davis, Hield, Knowles, McBride, Simms, Stuart and Swain. As an oddity in the Abaco chain of islands Moors Island remains predominately Afro-Bahamian as a result of Plantation Owners resettling to other locations at the abolition of slavery. Joseph Curry's Plantation commonly known as Teh Sinket to the locals was a former orange plantation. In Hard Bargain a few yards from a shrubbery area where residents live there is a former plantation site now known as Minangi Hill. Another former plantation site commonly known as Sun Ground by local residents is located north of The Bight, north of the old well field. The 1932 Bahamas Hurricane (Category 5) devastated Bluff Point, Abaco which caused persons to move to Moors Island. Some of settlers of Bluff Point, Abaco moved to Murphy Town in 1940. The 1932 Bahamas Hurricane legacy is preserved in common family names on the island, such as Davis, Swain, Curry, Dawkins, Knowles. The inhabitants of Bluff Point survived of fishing and sponging. The settlement of Bluff Point is located south of Sands Banks. Moors Island traditional survived by living of the land and fishing. 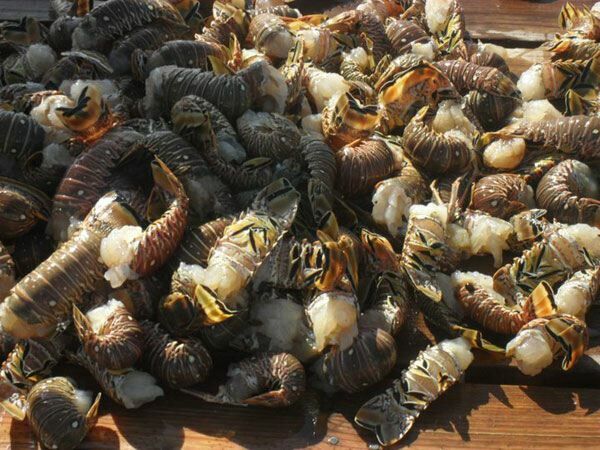 To this date there is a strong love for the sea and a respect for its bounty. Locals often traded what they caught or what they could farm with neighbouring islanders or visitors for water or other goods, which could not otherwise be obtained. Negotiators were often led into a hard bargain with gave the island's capital it's name. Before the advent of modern stoves residents used rock ovens made from local stones. 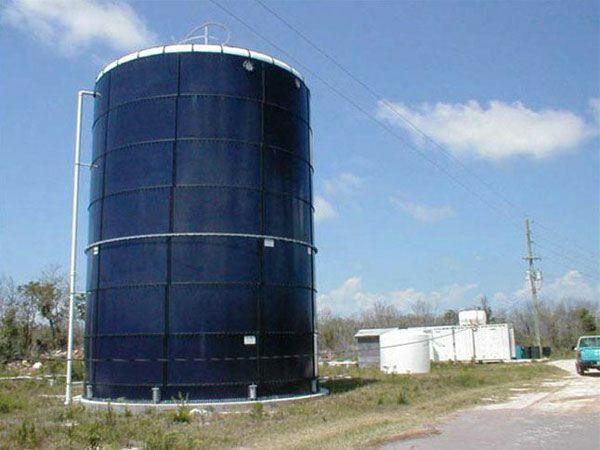 Potable water, naturally scarce on island was made readily available through the arrival of the water plant (condenser) before this residents traveled to Gorda Cay (now Disney's Castaway Island) and collected water using 55 gallon drums (plastic and metal) originally used to store gasoline. These drums were imported from Nassau. St. Peters Church located was located nearby Rolle's Dock and was the first church on the island built before c. 1939. 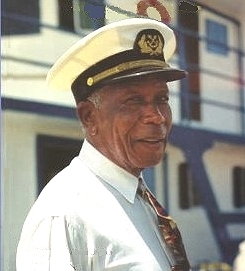 Regular sea transport services between mainland Abaco Island and Moors Island began in 1951, initiated by Capt. Ernest Dean. The inauguration of the supply of electricity in Moors Island was made possible by the Bahamas Electricity Corporation (BEC) in 1991. Still accommodations are limited due to the island lack fresh water. "At seventy-five feet Champion II is smaller than my other boats were. (Info) One of the reasons that I went smaller was that these boats run to the United States for freight from time to time. If you operate a larger ship in the States it has to have a load-line mark on the side of the hull. You can only load cargo until the load line touches the water and then it has to be the right trim fore and aft and side to side. With shallow-water boats that's not always easy to do. These are U.S. government regulations not Bahamian regulations. So seventy-five feet was the longest I could build without being burdened with a load-line mark." Recently the island has become a favorite for sport fishermen specifically bonefishing. The island can boast of having some of the largest bonefishing flats in the country with some of the largest bonefish caught in the Bahamas. His must read blog on Moore's Island Bonefishing says it all. Bonefishing guides from near by Sandy Point can be seen scouting its flats for the bone. And for those visiting Abaco who want to visit its most out if the way settlement, it's worth a day trip. The people on this tranquil island with Abaco's largest fishing village, are friendly and welcome visitors with open arms. Alternate methods of getting there is the mail boat M/V Captain Gurth Dean (242) 393-1064, or from Marsh Harbour by plane Abaco Air Ltd. And lastly inquiring on the facebok sites below. As we all know, the Abacos are a chain of islands and cays cornering the northeastern section of The Bahamas archipelago. Grand, Spanish and Walker�s Cays in the North, although separated from the other �Abacos� have become well known for their fishing. Central Abaco and its Cays, Green Turtle, and the "Hub of Abaco" group, are the best known. Recently, neighboring Gorda Cay was purchased by the Disney Corporation and renamed Castaway Cay, however, Moore�s Island at the southwestern lower side of Great Abaco has almost been forgotten - all alone out there in the Atlantic Ocean. When we first came to the Abacos, we noticed that Moore�s Island seemed to be regarded as an unknown quantity by the other residents of Abaco. Many native Abaconians had never been there or had visited only once. People seemed to regard it like a mysterious step sister, an outside child, a Cinderella, as it were. After having visited most of the other settlements in Abaco it made us all the more curious about Moore�s Island and determined to see for ourselves what she is all about. Therefore, when an invitation to accompany friends to Moore�s Island on a trip, we rescheduled other commitments and made for a day�s visit to this remote part of the Abacos. 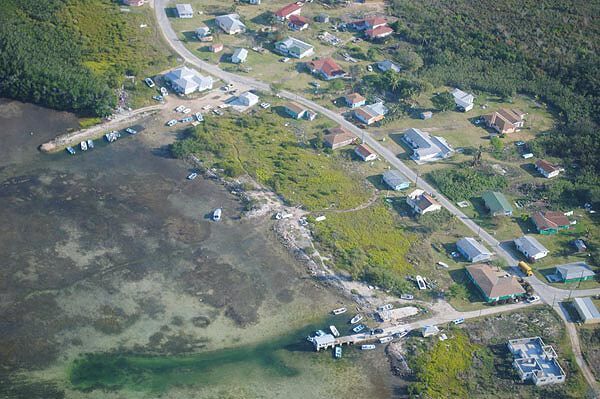 Abaco Air flies to Moore�s Island several times a week, although for a while there, flights there had to be ceased due to the erosion of the single airstrip. Other than by flying, one can also rent a boat from Sandy Point to Moore�s Island � a forty minute trip.  Our plane ride on a six seater took about twenty minutes from Marsh Harbour, prior to flying over the deep blue sea one can see the �flatlands� or Marls as they are called. 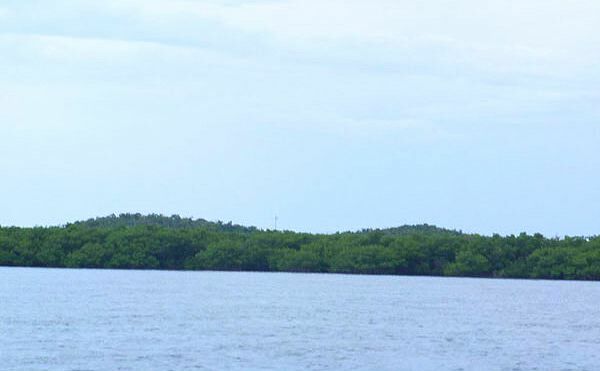 These wet sprawling globs of brown, sand mangroves, mud and water have an �other world� quality. Obviously uninhabitable, one surmises these islands appear to be a zone where land is slowly being reclaimed from the sea and the last part in Abaco's evolution to break water. The pilot was Shannon Smith, an aviator whose training centered in Texas. I had the honour of sitting next to him in the copilot�s seat and therefore, had a �bird�s�eye� view of our approach to Moore�s Island. We circled around the two settlements of Hard Bargain and The Bight during approach in what can be described as our smooth landing. We could see many signs of the devastation of the recent hurricanes. Hurricane Floyd had obviously cut a wide swath right through the forest, laying low many pine trees and tearing much of the paving of the beachfront road. It seemed as if a giant bulldozer had gone through the area. Buildings in Hard Bargain and The Bight suffered major damage, so much so that many of them were left as a stone foundation. We were met at the airstrip by our guide, Charles Williams, a congenial fellow who seemed very pleased to assist us. We drove into Hard Bargain (so named because water, so hard to come by, often had to be bargained for). We passed what were government buildings such as the police station, the Island "All Age School", and the clinic. Queenie has lived in Moore�s Island for the last seventeen years and enjoys the relative peace and quiet. When she wishes, she travels to Nassau or Freeport for a little visit with her children, grandchildren and great�grandchildren. Her husband sails a tourist boat between Nassau and Rose Island for a living, while she maintains her little shop. We were invited to look around � there�s a little a bit of everything one could possibly want in there. Grocery staples, medicinal, vanity items like perfume and hair accessories, fresh�baked bread, fresh fruit, toys, school supplies and the like, all arranged meticulously around the little store. Although her shop suffered considerable damage in the storm, Queenie recounted how a �strange man� came from Inagua and restored her humble abode without charge. We were introduced to Queenie�s livestock � a pair of really prosperous pink hogs across the street, whom she fattens up for eventual sale. After posing daintily for pictures, Queenie graciously presented us with a gift of cider, embraced us and asked us to visit with her again. Charles next drove us to see Pastor Hayworth Swain � who happens to be a close relative of certain Murphy Town Swains of our acquaintance. Pastor Swain was seated on his porch, observing the busy neighbourhood when we stopped by. He is one of Moore�s Island oldest living residents, but was also not born on the island. Pastor Swain talked about how he used to come to Moore�s Island as a young boy to visit his older sister and to attend school taught by a "grant�in�aid" teacher from Canada. He was born at Bluff Point, North Abaco and moved like many others to Murphy Town when that place became settled in the 1940�s. His first wife Florence was a Moore�s Islander, whom he met on one of his fishing jaunts. When she passed away, he married a Fox Town lady called Roseanna. But, Moore�s Island had become his home and the residents, his flock. While we were talking, several passersby greeted us and the Reverend. One lady came onto the porch, hugged and kissed him and asked after his health. He explained that he had suffered a mild stroke recently which did not incapacitate him but certainly kept him lying low for several weeks. Other than an occasional ride on his bicycle around the settlements, he likes to travel to Great Abaco on business or to visit his many close relatives there. Pastor Swain, who is now in his 80's years old remembers when Moore�s Islanders raised table foods like cassava, potatoes, sugar cane, peas and cabbage in their gardens apart from the major livelihood of fishing and crawfishing. One can still see evidence of the old style fishing village, tin washing tubs, kitchen gardens and the vital sense of community which so much of the rest of the world seems to have forgotten, are alive and well in Moore�s Island. We told Pastor Swain how grateful we were for the opportunity to glimpse through his eyes the Moore�s Island of the recent past and were soon on our way again. Before Charles took us to have lunch at The Bight, we stopped a bit to see St. Matthew�s Baptist Church on the sea front. This lovely building with its views of the Atlantic, its stain�glass windows and cypress wood finish, has as its pastor, Reverend Geneva Williams, Charles� mother. He told us how the church was a major refuge during the hurricane and provided reliable shelter for some of the islanders. The church did not suffer too much damage but there was a period, he recalled, when the rising water seeped into the building and elicited fervent prayers from all who sheltered there. Fortunately, their prayers were answered. A few yards away from St. Matthew�s is Bayview Restaurant. When we arrived some of the staff were changing the red and white window dressings left over from the Valentine�s Day festivities to a set of crisp dark green ones. The white walls had strips of white rick�rack on them and the tables were set with white tablecloths decorated with red and green poinsettias. Bayview is part of an establishment, which also houses a daycare facility, a clothing store and small grocer�s. Eleven industrious female friends, all from the same prayer group, formed a cooperative business venture called the Praise of Fashion Mall in The Bight. We spoke with the manager, Misses Ettie Feaster and Christine Swain. Bayview serves a medley of Bahamian dishes; peas n� rice with macaroni & cheese, potato salad, cole slaw and your choice of steamed lobster, pork chops, baked chicken, ribs and fried snapper. Let me tell you, we had a ball deciding. If you want to rent accommodations overnight or longer, you can try the Gaitors (at the Bight 242-366-6005) who maintain a cottage complete with communal kitchen in a white house trimmed with orange on the road just entering The Bight from Hard Bargain. Reservations were not necessary and rooms are available for $65 per night cash. Our last visit after a leisurely lunch, was to see Edward Stuart, with whom we had spoken in 1999 for an earlier article. Mr. Stuart, a jovial middle�aged gentleman was preparing fresh conch salad on the beach with a group of other men, when we drove up. He remembered speaking with us and also invited us over to meet his older brother, Jonathan McBride. With a visible sense of pride, they recounted how it was their great�grandfather, a former African slave who was among the first settlers, on Moore�s Island. The first families were the Stuarts, the McBrides and the Davises. The families survived by fishing and living off the land. They often traded what they caught or what they could farm with neighbouring islanders or visitors for water and other goods, which could not otherwise be obtained. As the story goes, negotiators were often led into a �hard bargain� � a condition which, according to some Moore�s Islanders, exists until this day, even though the local water supply is made drinkable by a condenser. The island itself, was apparently named for a British landowner called Moore (or More � depending on with whom you speak). Edward Stuart talked a bit about the fishing industry and the fact that Moore�s Island has a bonefish camp in Hard Bargain run by the Hields (242) 366-6334). The camp is open during the season and attracts many American fishermen each year, who boat or fly over. 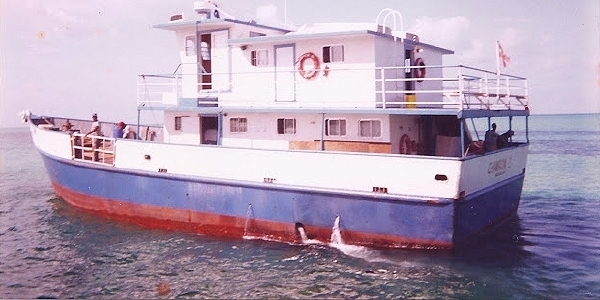 Mail and supplies to the island are brought by the mailboat (242) 393-1064, and by vessels sailing in from Nassau, Marsh Harbour, Sandy Point and Freeport. 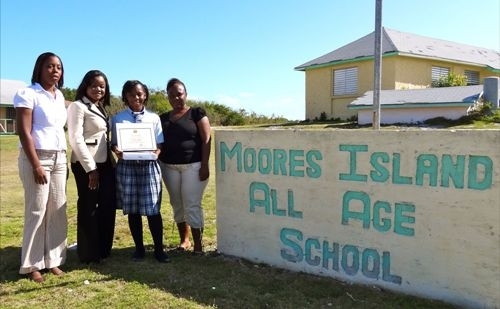 For the most part, however, Moore�s Island is little developed and the young people often move away to other settlements of Abaco or to Grand Bahama to seek jobs or for further schooling and seldom return. Since the Hurricanes of �99 and '04, Moore�s Island has been the focus of much attention and concern. Although it was an isolated outpost of the Abacos, the island is not likely to be �forgotten� any more. 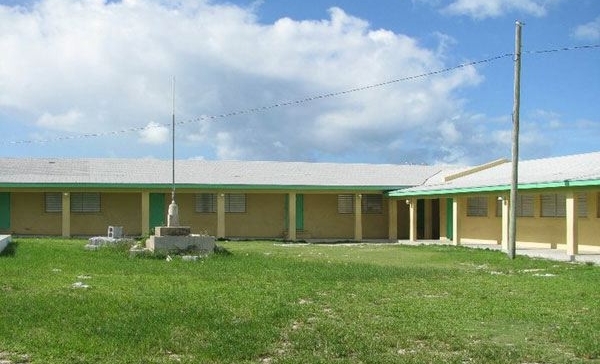 Local Government came home to Moore�s Island through its recognition as a district with a Chief Counselor, Alex Davis and Deputy Chief Thomas Hield. 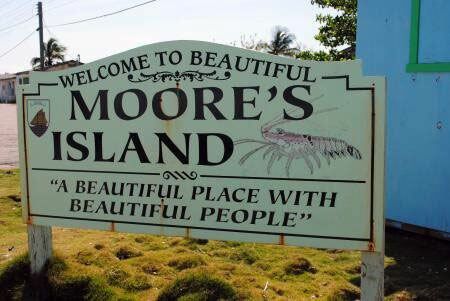 So, the admirable people of Moore�s Island, with their proud independence and patient determination in the face of adversity will earn them a happy ending � a princess� place in the history of the Abacos.